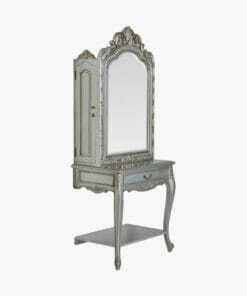 Shabby chic salon furniture from leading brands like Mila and WBX to compliment a ‘Shabby Chic’ French feel to hair salons, beauticians and spas. 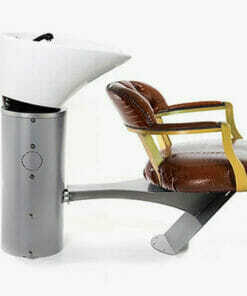 Design can sometimes become static and predictable and increasingly the salon industry is looking for fresh, interesting styles to make their businesses stand out from the crowd. 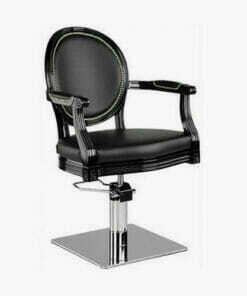 Take advantage of the current trend for shabby chic, baroque and vintage styles and choose from these great quality salon products. 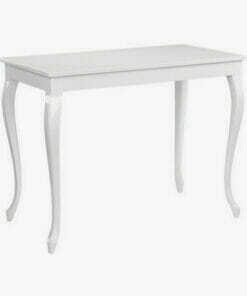 Beautifully reproduction designed table with a hard wearing laminate top and solid wooden legs. 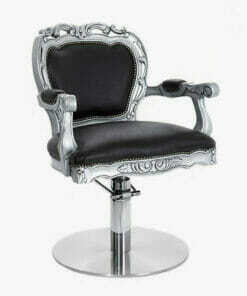 Stylish salon stool for hair salons and beauty salons. 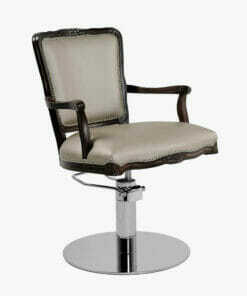 Stylish tall stylists stool for hair salons and beauty salons. 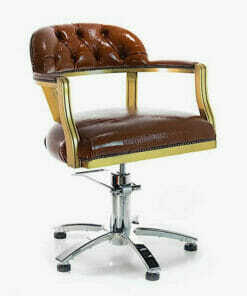 Elegant and modernised take on a classic reproduction design. 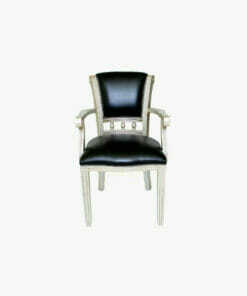 High-end waiting chair with a solid wood frame and an elegant surrounding stud design. 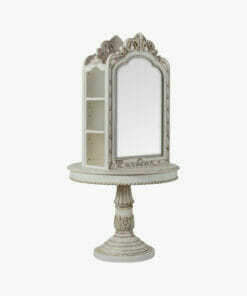 Made in England from solid wood and decorated with a stud trim. 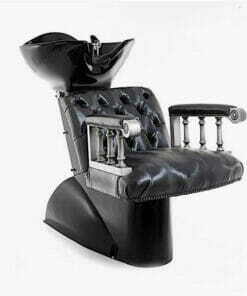 Premium upholstery version of the Mila Prince Hairdressing Styling Chair, a classic reproduction design. 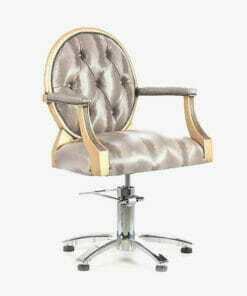 Timeless waiting chair with an elegant solid wood frame. 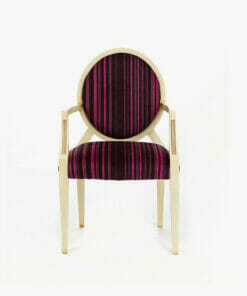 Reproduction reception chair hand made in England from solid wood. 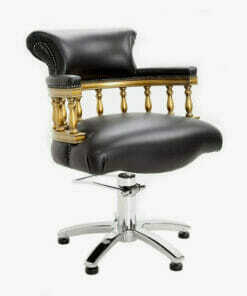 This chair conveys traditional quality through design and flair. 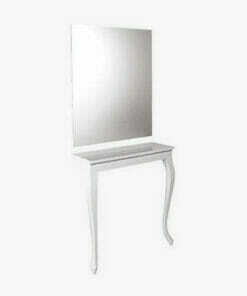 The Mila Angel II Wall Styling Unit is a full length wall mounted mirrored styling unit. 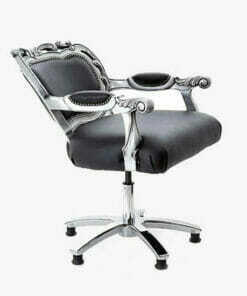 Uniquely designed, hand crafted chair with a fixed backrest. 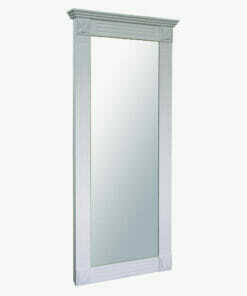 The Mia Angel II Wall Styling Unit is a wall unit with large drawer and mirror. 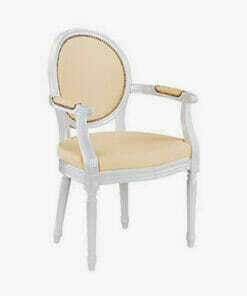 Comfortable two seat salon waiting chair with an elegant, shabby chic design. 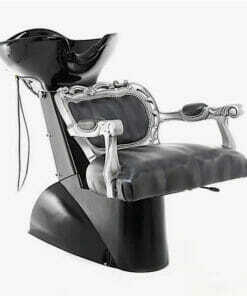 Contemporary styling chair, hand crafted in the UK. 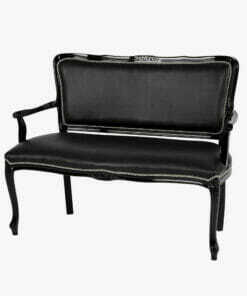 Deep cushioned seating with a stylish button press design and elegant rounded armrests. 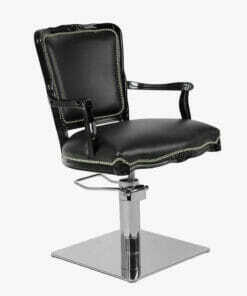 Provides excellent strength, durability and comfort. 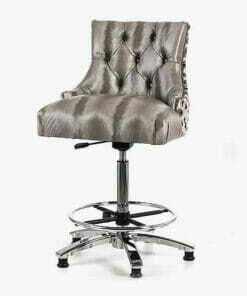 Elegant and reliable, with a wooden frame and stud detailing. 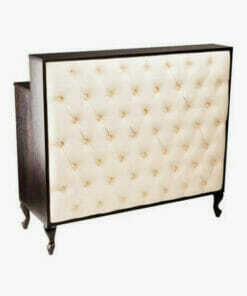 Chic salon reception desk with a padded front section and vintage wooden legs. 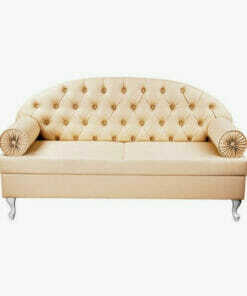 Stunning sofa with upholstered seat and side panels. 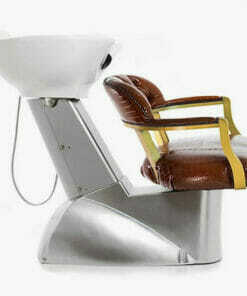 Stylish salon reception desk with a padded front section and LED backlight. 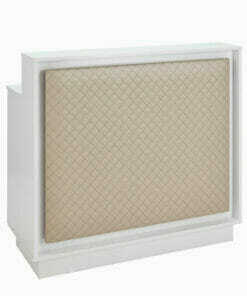 Comfortable and sturdy wash unit, elegantly designed and hand built in the UK. Features one main shelf, two cupboards, two drawers, and a sliding keyboard shelf. 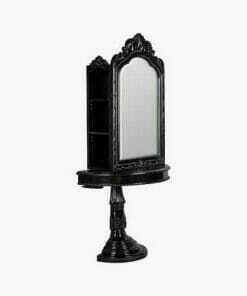 Beautifully hand crafted washpoint with a detailed wooden frame. 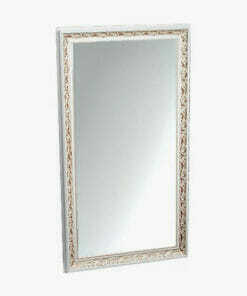 Hand crafted with a wooden frame and stud detailing. 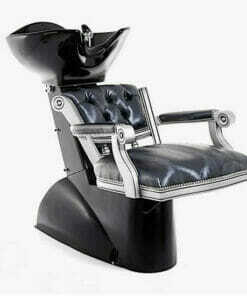 Curved design with plenty of shelving and storage space to the rear. 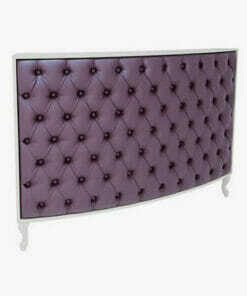 Excellent wall styling unit with a unique style and stunning design, guaranteed to grab attention. 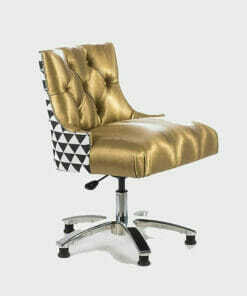 The Vivaldi gives a traditional feel with a chic design. 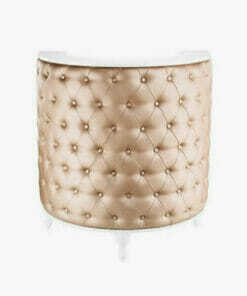 Elegantly designed wash unit with an unparalleled attention to detail. 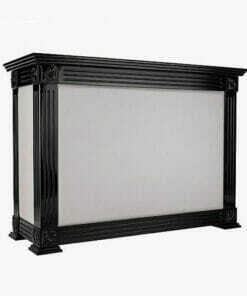 Fantastic rectangle design unit with unique style, hand crafted and built to the highest standard. 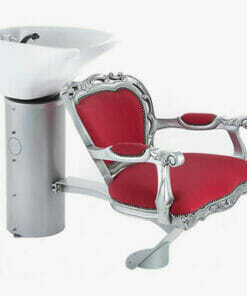 Elegant and stylish designed washpoint with a traditional, chic feel. 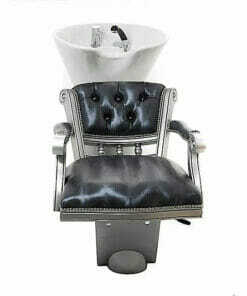 Reliable and hand crafted washpoint suitable for any salon or hairdressers. Reproduction styled desk with drawer, two cupboards and shelving with plenty of storage space. 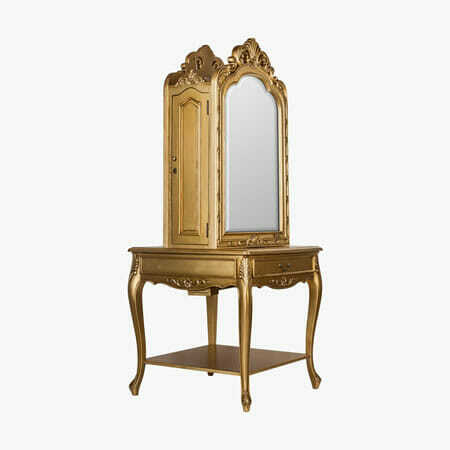 A two position Island unit with a unique reproduction style and elegantly designed features. 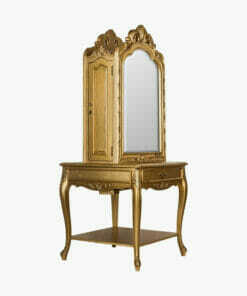 A stunning two position Island unit with storage in a unique grand style and elegant design. 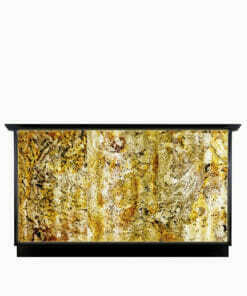 Stylish stone design reception desk with a stone front and lots of storage. 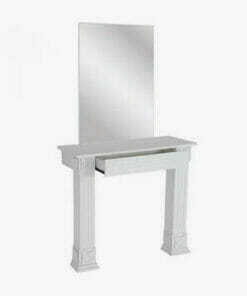 Please call our team for more information on these products on 01270 630280. Our office hours are Monday to Friday between 9am to 5pm or Friday between 9am to 3pm. Our help team will be happy to give you advice and assistance.